Atomium was the attempt to recreate a thesis concerning PTSD-flashbacks and the prevention thereof by occupying the brain with a game of Tetris. In cooperation with Charlotte Hippert, a student at Ruhr University Bochum and Prof. Dr. med. Henrik Kessler, I had the chance to work on this exciting experiment. According to various thesis, parts of the brain responsible for flashbacks, can be overloaded, by partaking in a particular set of puzzles, such as a game of Tetris. 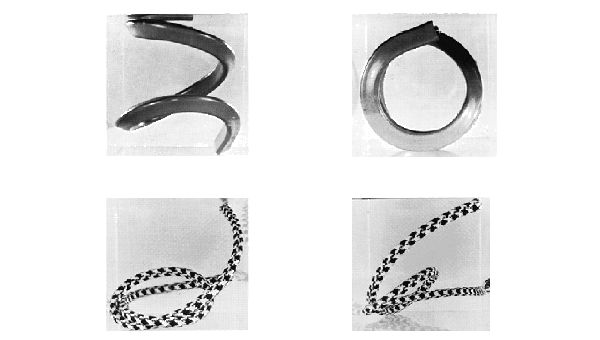 Due to legalities, this experiment was attempting to recreate similar effects, by using a automatically generated Schlauchfiguren-Test (pipe-figure test). 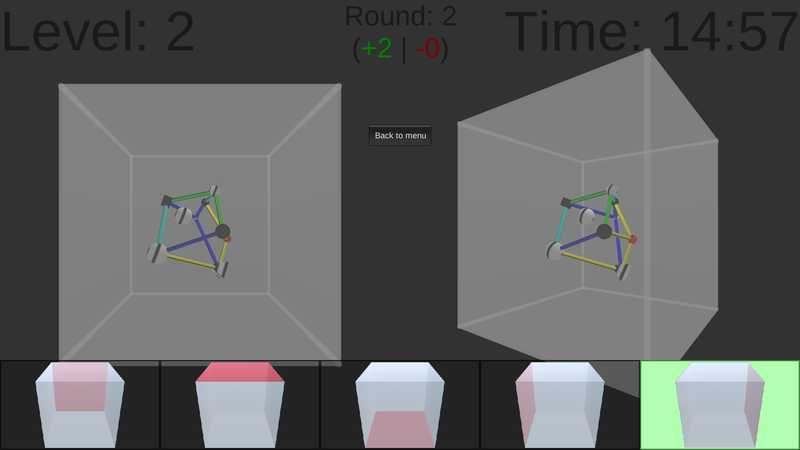 These tests can normally be found in TMS (a "Test für medizinische Studiengänge" ≙ "Test for Medical Studies" - an entrance examination for students applying for medical studies), but mirrored Tetris in their need for spatial thinking under short periods of time and were perfect for easy, automated generation on low-end hardware. My main focus was ensuring that designing the app's content was as accessible as possible. With this app being indirectly designed by biology students and professors, there was no experience in regards to balancing or even any form of game development. 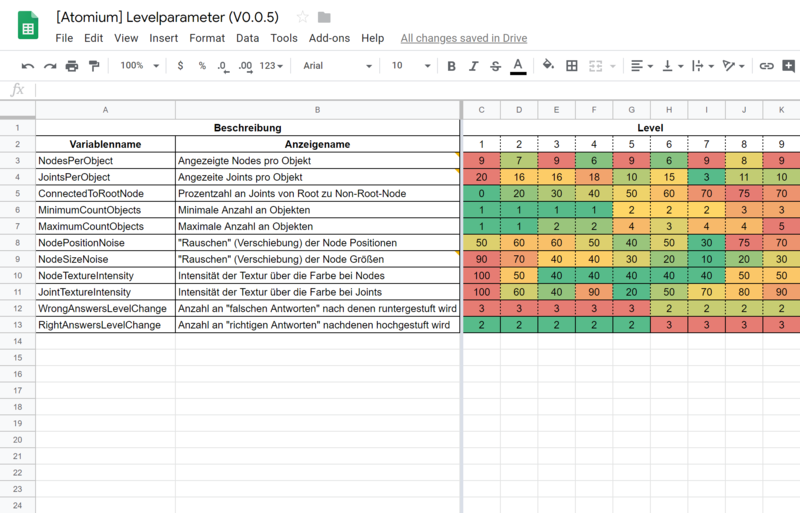 Internal testing or branching to a different configuration was done by changing the URL used by the app to another spreadsheet, which could be done in-editor before deployment, or even in-game. The app was deployed using Unity on low-end android hardware (tablets and phones alike) and auto-updated it's configuration files on startup, if an internet connection was detected, by automatically downloading the spreadsheet and parsing it's content. Besides the option to start at a specific difficulty for testing, the game-auto-adjusted it's difficulty by default, based on values from the spreadsheet, to ensure users were never bored, nor tasked with impossibly hard challenges. An early prototype was build inside the browser using only HTML, CSS, vanilla JS and static images, to test feasibility and effectiveness in under 2 days. The app created a session log for each play session, that could be exported and concatenated into an .CSV-file, to mass-review specific group-performances in Excel or other spreadsheet software.